Nathuram Godse, who was brought up by his parents as a girl in the first few years of his life, has been reviled for decades for fatally shooting the apostle of peace Mahatma Gandhi. 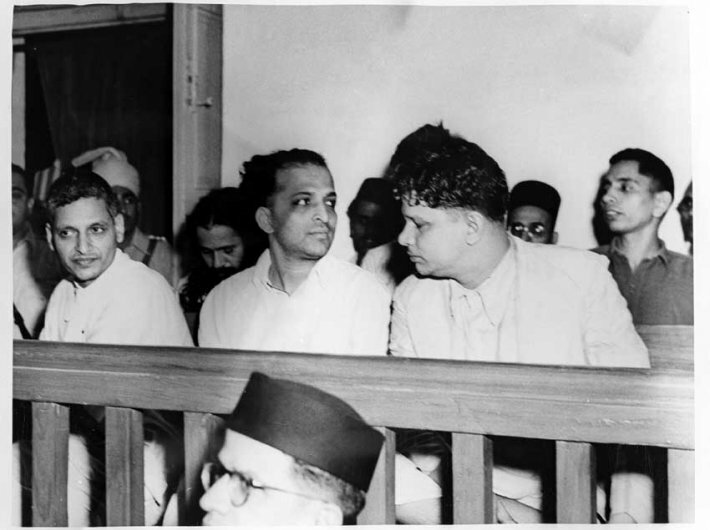 What Godse said during the Gandhi assassination trial has not been made public, giving rise to considerable speculation. The Central Information Commissioner has now ruled that Godse’s statement along with other relevant records should be “proactively disclosed”. The Mahatma’s killing on January 30, 1948, barely months after India’s independence, was a dark day in the annals of Indian history. The truth, howsoever repulsive, must come out. Godse’s statement must be made public. The more we attempt to hide something, the stronger is the possibility of a backlash. For seven decades, what Godse said has been kept secret. It should have been out in the open as the trial progressed. The Gandhi assassination trial lasted for over a year and Godse was hanged at Ambala central jail on November 15, 1949. If the statement would have been shared then, people would have been angry and upset, but the truth would have put in perspective of what was going through Godse’s mind and what intricate justification he had woven to take the extreme step. This raging debate should have been put to rest a long time back. Timely action would have made Godse’s statement only of interest to historians and not to the common people. By not sharing, we have kept the murderer and his thinking alive. It is never too late to share the truth. We may disagree with his statement; we may have an aversion; we may feel bitter – but let it be out. Period. India is a free country and people have a right to know. Our democracy is one of the strongest in the world. A two-act Marathi play “Me Nathuram Godse Boltoy” is supposed to enact Godse’s plea and explores his trial. It just shows that there are some who are keen to know more about Godse. After Gandhi was shot dead, the Hindu Mahasabha was vilified and the Rashtriya Swayamsewak Sangh (RSS), which has always maintained that it was not involved in the plot in any way, was temporarily banned. The RSS ban was lifted in 1949. Hindu Mahasabha wants to set up idols of Godse across the country – and the first ever Godse bust was unveiled in Meerut in October 2016. This is a dangerous trend. Idolising Godse, a killer, puts a huge question mark on what kind of society we are building for ourselves. When Godse was in jail at Ambala, his brother used to come and meet him. The brother used to stay at a building in Ambala Cantonment, quite close to Punjabi Mohalla. His location was kept a secret. Till today, those who known this fact, don’t share it with common people. They fear reprisal. Outing Godse’s statement may change all that.